Configure the network settings of your network drive. Host Name Define the host name of your network drive. Make sure to use a unique name and not one that has already been used on your network. Apply Apply and save the changes. 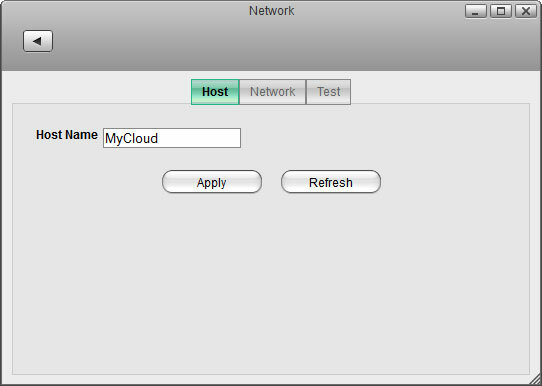 Automatic (DHCP) Automatically obtain an IP address for your network drive from the local DHCP server or network router. Manual Configure the settings manually. If you are not sure what to fill out, enable Automatic(DHCP) or ask your system admnistrator. IP Address The local IP address of your network drive. Subnet Mask The subnet mask of your local network. Usually, the subnet mask is set to 255.255.255.0. Default Gateway The default gateway of your local network. Usually, this is the IP address of your network router. DNS Server 1/2 The IP address of the DNS servers you want to use. Usually, this is the IP address that is recommended by your ISP (internet service provider) but you can also user another DNS server. As an example, Google provides a free DNS service at 8.8.8.8 and 8.8.4.4. Auto DNS Server Enable this option to automatically obtain an IP address for the DNS server. 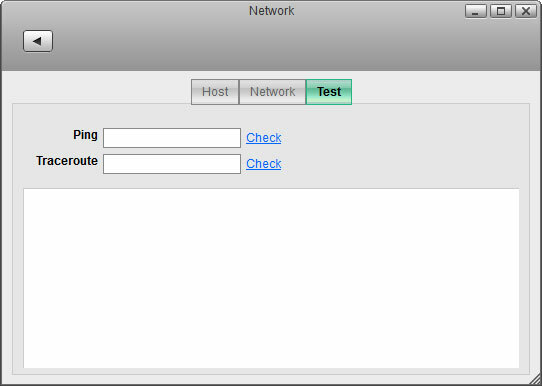 Changing the network settings can affect the running network services and the users that are currently connected to the device. Also, if you change the IP address, remember to adjust your other settings like port forwarding on your network router or any mapped folders that are still using the old IP address. These tools can be used to troubleshoot network problems. If you have network problems and contact support, you might be asked to run some of these tests and send the results back for further troubleshooting. Ping Enter an IP address and click Check to ping the remote address in order to see if it can be reached. Traceroute Enter an IP address and click Check to trace the route from your network drive to the remote address.